The plants are visited by a number of butterflies and hummingbirds. The pea-sized fruit are bright blue. The opposite leaves, the stems and flower bracts are all covered in a soft, hairy fuzz. Mature, robust specimens may reach small tree size, but most encountered are small shrubs under six feet tall. 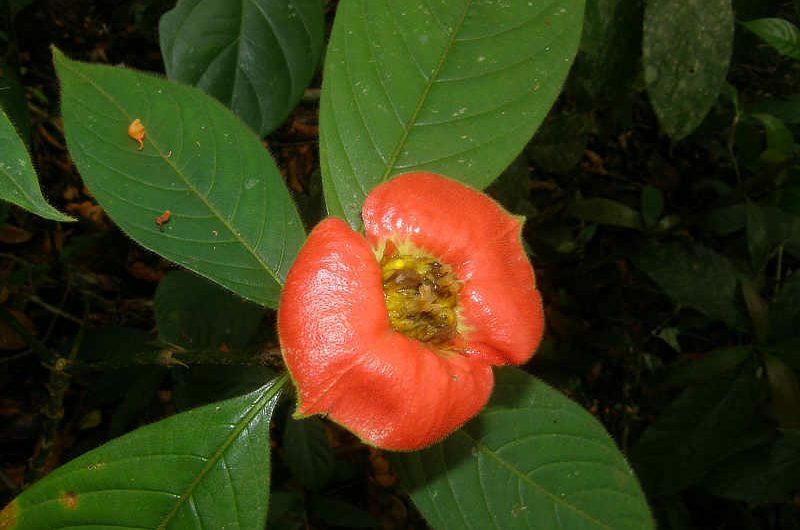 Ranging widely through Tropical America, look for hot lips along Semaphore Hill, Pipeline Road or the margins of forests near the Canopy Tower, Canopy Lodge and Canopy Camp Darien.